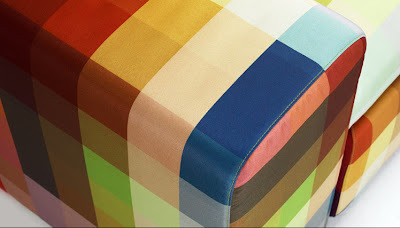 Designer Cristian Zuzunaga has used the concept of very lo-res colour pixels for his beautiful colour blocks fabric design. 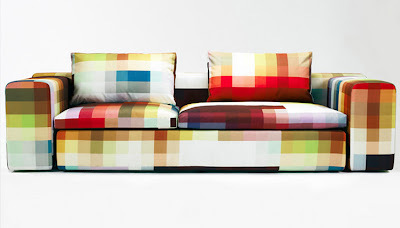 The fabric is being produced by Danish textiles manufacturer Kvadrat (who work with an extraordinary range of design luminaries), and has been used to brilliant effect on this 2.5m Pixel Sofa by Moroso. 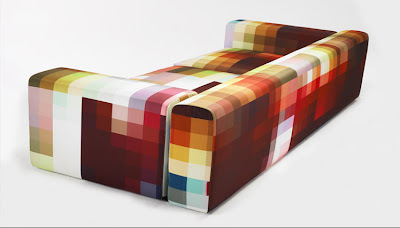 Now, the question is: Once you have this sofa in your living room, how on earth do you choose a wall colour to match?